Last month Myer (high-end department store) finally launched its first Illamasqua counter in Adelaide as part of the store's beauty hall makeover and I was delighted to be invited to its opening. I was really excited to get a chance to swatch and play around with Illamasqua products as I've heard such wonderful comments about the brand and high-quality pigments. In case you aren't aware of this brand, Illamasqua is all about being bold and daring, allowing people to express themselves with a different attitude, a darker side or an alter ego, with products to suit every individual. This wasn't like any ordinary blogger-meets-brand meet - I didn't see the other bloggers as we each had one-on-one appointments with the newly announced Australian ambassador, Frances Cutri. Frances gave me a tour of the new stall and introduced the different products that Illamasqua has to offer. Did you know that Illamasqua also have their own perfume/cologne? And guess what - it's unisex! A scent fit for a male and a female called 'Freak' and the bottle has a snail design on it. Frances asked me if I knew why a snail was used as the image and I told her that I had no idea. She told me that it's used because many snails don't have a gender (they have both male and female organs), which makes it a perfect image for this perfume/cologne, because it isn't gender-specific. These lashes are maaad fancy! Such a broad range of lippie colours - don't think I'll ever be able to pull off green lips! I also got these 'Skin Base Mixers' which help to give the perfect contoured look. I followed the instructions provided and applied them on my face. It looked really messy but after applying them, a layer of foundation goes over it all so it subtly sculpts the face from underneath. Clever, hey? 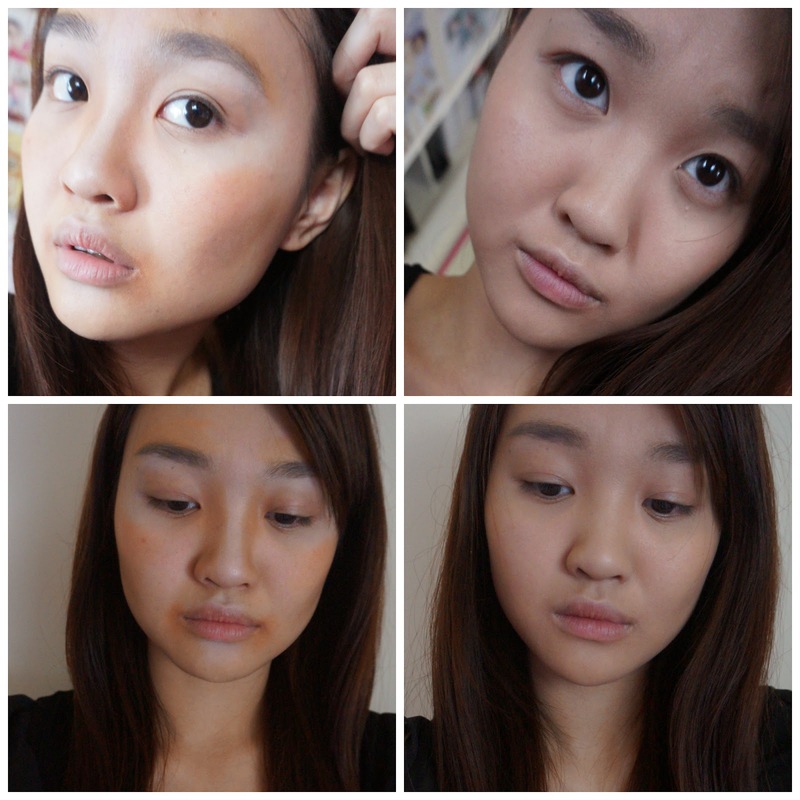 I reckon the White Skin Base Mixer gave my face more of a glow too! My eyes, cheeks and lips have different variations of purple and it sort of gives off a gradient effect from top to bottom which I quite like. It's funny how I used to only wear purple on my eyelids and nowhere else but now I'm comfortable with wearing it on my cheeks and on my lips. The creamy/velvet eyeshadow pigment and blusher were really easy to blend and it must've been because texturally, they're fantastic. The stand-out product for me was definitely the lipgloss because of its pigmentation (it's literally like paint), and I love the brush applicator which gives me more control as opposed to a sponge applicator. I also tried out the Colouring Pencil and to be honest, I'm not great with lining my lips but I gave it my best shot. 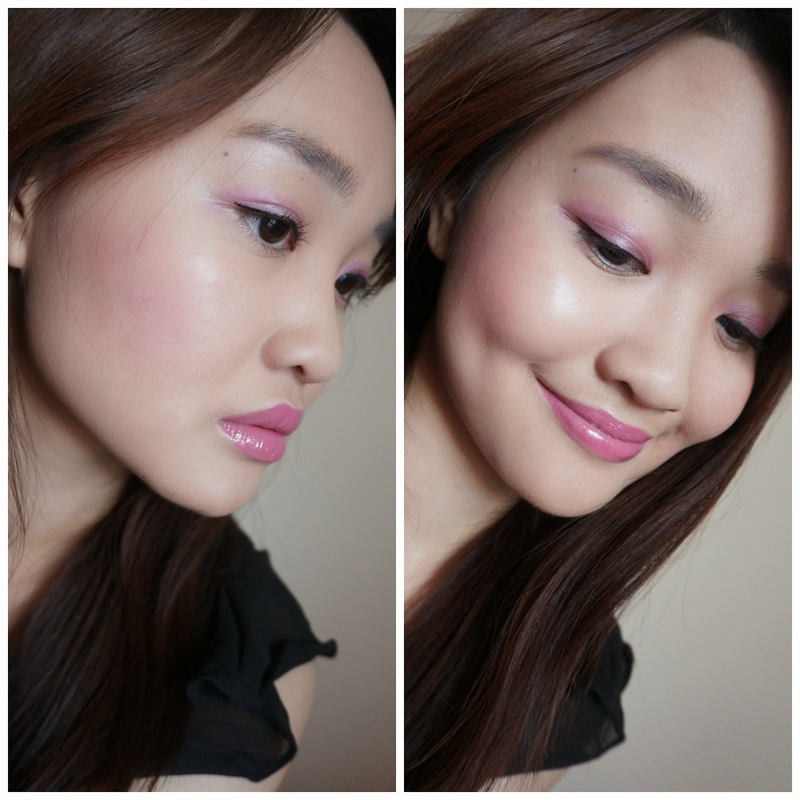 I found that this lip pencil glided on very smoothly with maximum pigmentation and minimal tugging. I need to practise my outlining. Looks alright from afar but up-close, nope. Purple and red is an 'unusual' combination, so they say, and the colour wheel will show that purple and red should not be combined. Though lots of people beg to differ, saying that purple and red makes an edgy combination and is bound to turn heads. I personally wouldn't put them together, but it's not like I find it distasteful - if you like it, go for it. Red is a colour that I rarely used on my face and I'm hardly brave enough to sport a red lippie. 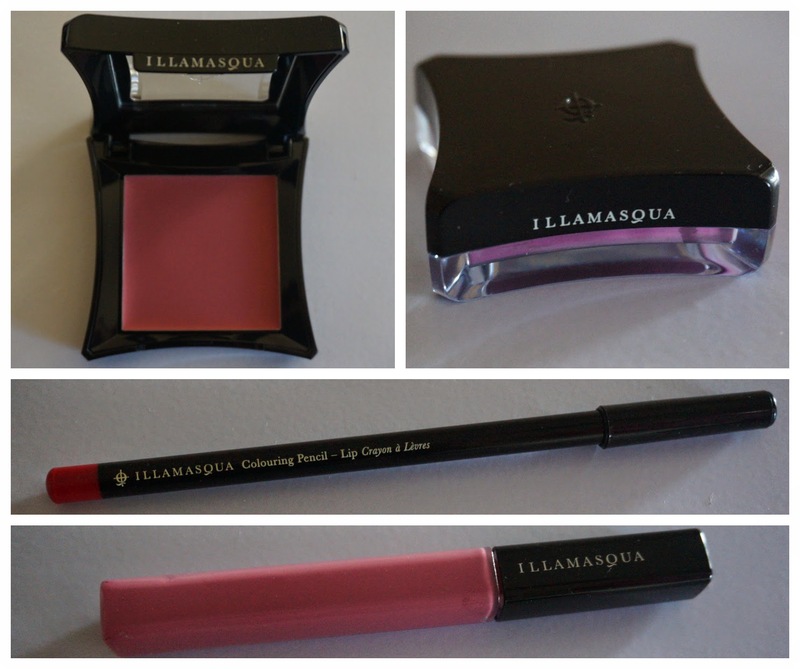 I am thrilled that an Illamasqua counter exists in my city at last and it was a lot of fun playing around with the products, especially and quite unexpectedly, the Skin Base Mixers which I wasn't too sure about using at first. I had never thought about the idea of contouring before wearing foundation and now I feel that it's a crucial step to add to my makeup routine! It was crazy at first seeing my face look dramatically sculpted but once the foundation was applied over it, I was pleased with the results. To me my face has always lacked definition with my flat eyes and flat nose so having these Skin Base Mixers can help accentuate my features. Thanks Illamasqua! 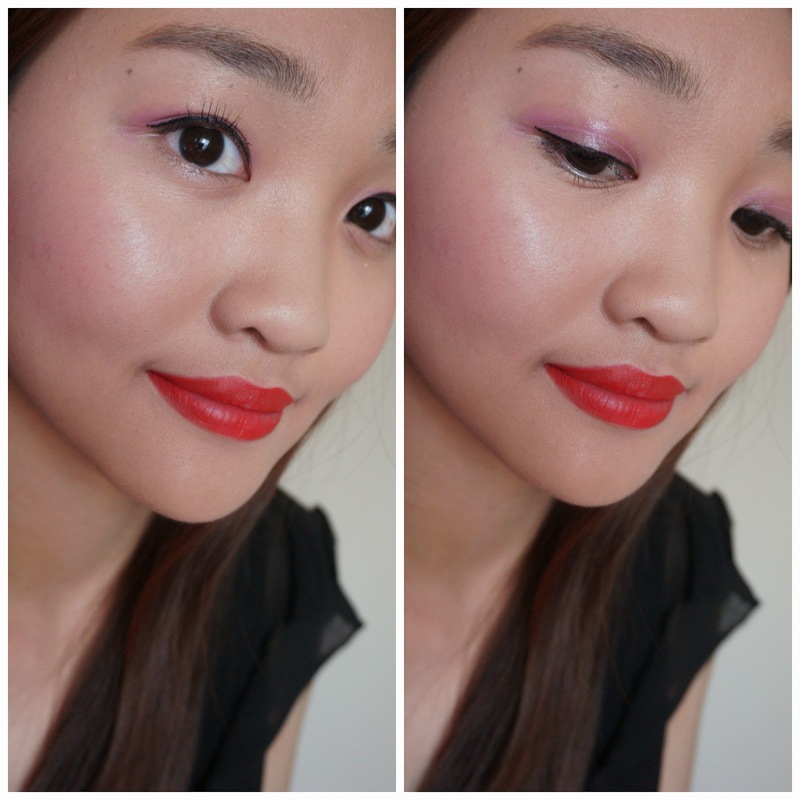 Pick one - red lips or purple lips? They're both cool tones and since I suit warm tones better, these colours aren't really for me... but if I had to pick one, it'd be purple. And I guess I'm also a little bias since I like the colour purple more than red, just saying! Disclaimer: Products were provided for consideration with no obligation to share or review. This is not a sponsored post, nor am I affiliated with any of the companies mentioned in this post. All opinions are stated by me are 100% honest with no bias. See more at: http://www.questjen.com/p/disclaimer.html for full disclaimer. I'm obsessed with Illamasqua and Perth have yet to have their own counter :( Bought all my stuff for my pro makeup kit in Melbourne last time! omg i love illamasqua! Girl your skin is so radiant, great job with the contouring!! I had trouble with the contouring so I'm happy to hear that hehe, thanks girly!